24-year-old Maryland man who murdered two players at video game tournament before killing himself had been hospitalized for mental illness. The gunman responsible for the deadly shooting rampage in Jacksonville, Florida this Sunday had a history of mental illness and abnormal behavior. 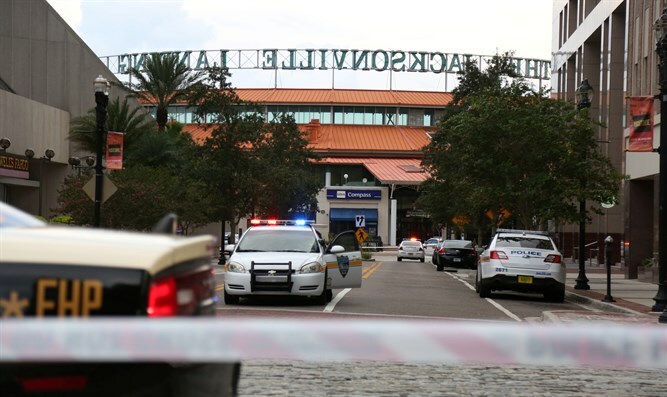 On Sunday, 24-year-old David Katz, a resident of Howard County, Maryland, opened fire with two pistols he had acquired several weeks before, gunning down participants at a video game tournament in the Jacksonville Landing shopping center. Katz, who had won a similar tournament for video game football the year before, lost a game just minutes before the mass shooting. Police say Katz deliberately targeted fellow players, shooting 13 people – 2 of them fatally – before he shot and killed himself. According to court papers filed as part of the divorce proceedings for Katz’s parents, the couple had become estranged while Katz was a child, and formally divorced in 2007, when Katz was 13 years old, AP reported. The gunman’s parents said that their son had been twice hospitalized for psychiatric care, and Elizabeth Katz, David’s mother, claimed her son exhibited disturbingly obsessive behavior. “His hair would very often go unwashed for days. When I took his gaming equipment controllers away so he couldn’t play at 3 or 4 in the morning, I’d get up and find that he was just walking around the house in circles,” Elizabeth Katz said. When she attempted to break her son’s video game addiction by locking away his video game controllers in her room, David punched a hole through the door. David Katz had difficulty concentrating after his parents broke up, his mother said, though David’s father often disputed claims regarding the level of his son’s mental illness, saying he was never “diagnosed as psychotic”. The father, Richard Katz, also pressed his son not to take Risperidal, an anti-psychotic medication he had been prescribed, Elizabeth Katz claimed. In the years after her divorce, Elizabeth Katz reportedly called 911 on multiple occasions to report abusive behavior by her son, including an incident in which he allegedly was “assaulting” her.